Unfortunately, most courts around the country have enforced nursing home agreements executed by residents agreeing to forgo civil claims in favor of arbitration for negligence claims. The game changes in wrongful death cases. Usually this is for a very simple reason: the parties have changed. 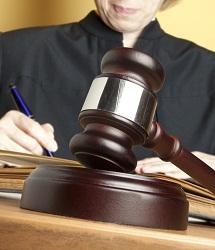 Courts in Maryland and other jurisdictions have largely declined to enforce arbitration agreements between nursing homes and deceased residents because any wrongful death action is not an “asset” of the estate but a claim brought under the plaintiffs’ own right for the loss of their spouse or parent. There are two new Pennsylvania nursing home cases that favor plaintiffs in these disputes. In Pisano v. Extendicare Homes, a Pennsylvania intermediate court affirmed the trial court’s motion for summary judgment in a wrongful death and survival action filed against a nursing home. 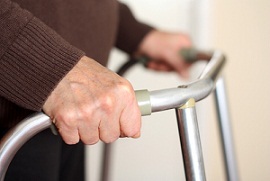 The nursing home attempted to compel arbitration over both causes of action based on the existence of an agreement to arbitrate all claims against the nursing home, expressly including survival and wrongful death actions. This was an issue of first impression in Pennsylvania. The nursing home’s best argument in these cases, which they made in Pisano, is that a wrongful death claim is a derivative of and defined by the decedent’s rights. While it is their best argument, it is weak. The Pennsylvania court agreed using a lot of complicated legal analysis that can best be described as follows: the parties are different so it is not derivative. Having reached that conclusion, the Pisano court found that, as we learned in Contracts 101, arbitration is a matter of contract. Accordingly, wrongful death beneficiaries should not be forced to arbitrate an agreement between the actual parties in the litigation to do so. Most courts are taking this approach. Florida and Texas have gone the other way, I guess because they hate plaintiffs. Where things get more complicated is when some of the claims are preempted by arbitration and others are not. The estate survival action claim in Maryland, for example, is arguably covered by the arbitration clause while the wrongful death claim is not. The cousin of this problem is when plaintiffs are able to bring suit against one defendant civilly but the other is preempted. Courts are split on these issues. But why are they? Ultimately, in a close call, given the 7th Amendment and the sanity of jury trials, shouldn’t we err on the side of giving people their day in court? The U.S. District Court for the Eastern District of Pennsylvania in Moyer v. Berks Helm also denied a nursing home’s motion to dismiss last month in a claim filed by the families and the estate of a deceased nursing home resident at the county owned Berks Heim Nursing Home in Leesport, Pennsylvania. Plaintiffs alleged that the decedent fell an amazing 11 times, suffering various injuries. Plaintiffs here decided to file a §1983 lawsuit to get around the arbitration provisions. The nursing home argued, with some reason, that civil rights violations should not be able to serve as the foundation for a wrongful death claim based on state law. This is an interesting tactic for plaintiffs’ lawyers. The trial judge is leaving the claim open for now, pointing out that the only compensable damages under wrongful death claim are funeral expenses. I’m not sure exactly what the wisdom is in bringing these claims in an otherwise straight up – and tough to maintain – negligence and wrongful death case involving nursing home falls. I will follow this case and let you know if I hear any further developments.